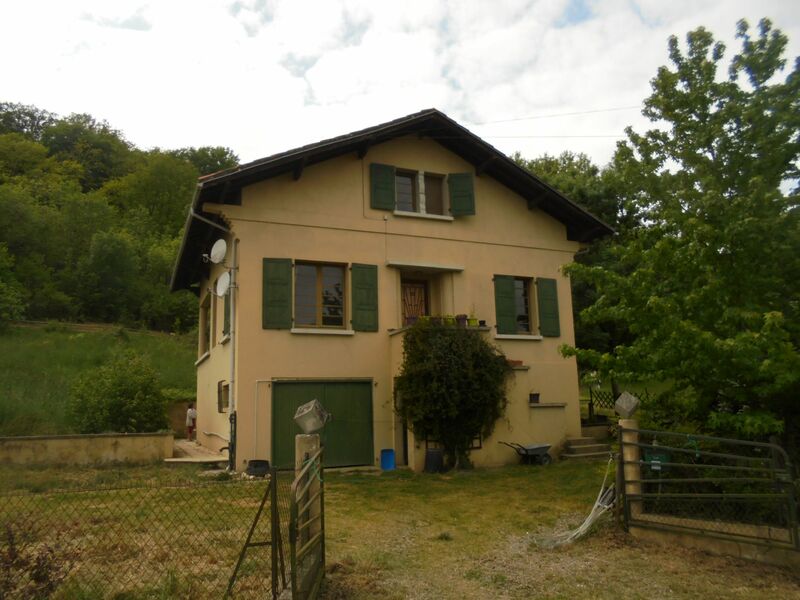 The property is along a busy road but has a nice private terrasse at the rear of the house. Ground floor: garage and granny flat (32m) that needs to be renovated. First floor: landing (15m²), WC, kitchen(14m²), utility(5m²), dining room(14m²) with wooden floorboards, sitting room (30m²) with a woodburner and access to balcony and terrace. Second floor: landing (7m²) 3 bedrooms (14m²,12m²,12m²) storage room (6m²) and a bathroom with bath, shower sink and toilet. The state of the house is generally good it just needs a little bit of TLC.